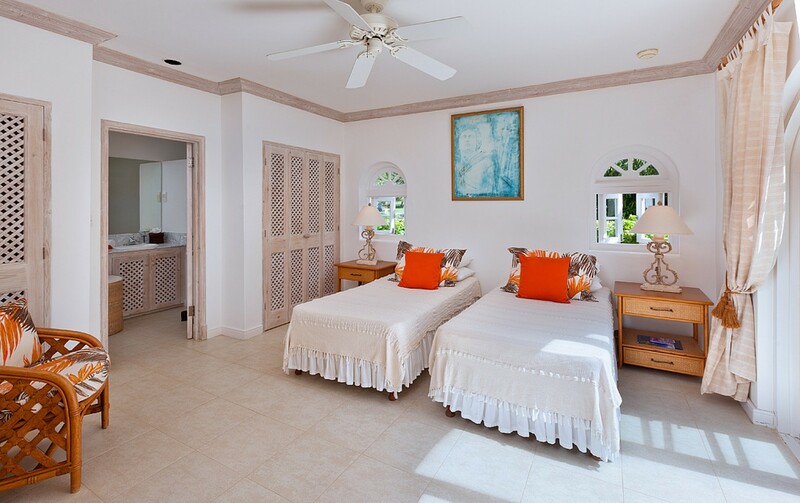 Welcome to Forest Hills 2, a sumptuous 3-bedroom villa located in the distinguished Golf Resort of Royal Westmoreland, on the island of Barbados. Situated in the Forest Hill Community of villas within Royal Westmoreland, the villa enjoys fabulous views of the surrounding resort, with the Caribbean Sea glittering on the horizon. Swaying palm trees dot the landscape, with verdant greenery populating the expansive golf course at the rear of the villa, and a private landscaped garden for your own personal enjoyment. Sporting many of the architectural features of colonial British buildings, combined with the contemporary designs of modern architects and builders, the villa preserves both the rich historical influences and heritage of the island, while making room for the styles of present day, amalgamating in an aesthetically attractive building that guests will appreciate and enjoy. The interior intends to instill a sense of calm and relaxation from the moment one steps within its walls; with a large open-plan lounge, kitchen and dining area on the upper level, the high ceilings contribute to the open, airy feel of the villa. 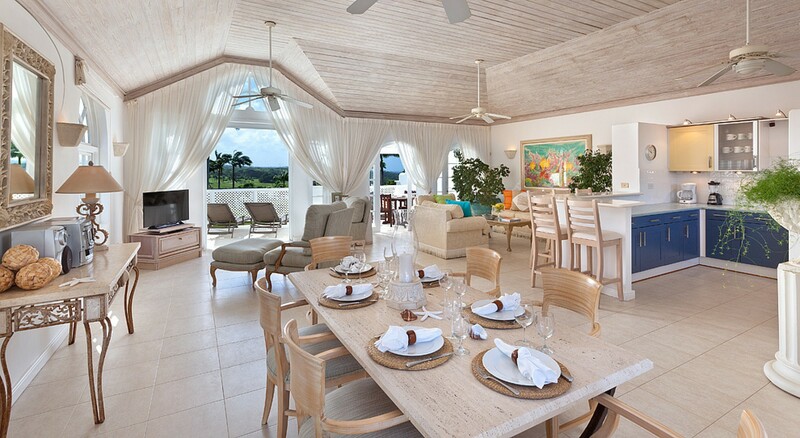 Ceiling fans regulate the air-flow in the room to ensure a pleasant coolness in Barbados’ tropical climate. Fresh plants are strategically placed in the sitting area, both to please the eye and cleanse the air. Along with ample room to stretch out on the numerous plush couches and chairs that inhabit the space, a flat-screen TV is available for guests to use when engaging in some downtime from a day of activities. A partially covered veranda extends the living space even further, with outdoor seating, and dining al fresco. The bedrooms, following suit with the rest of the house, are bright, airy and cosy, with luxurious beds to sink into when the day’s adventures have come to an end. Each of the bedrooms are tiled, to aid with temperature control, and come with an en-suite, air-conditioning and ample storage space for belongings. 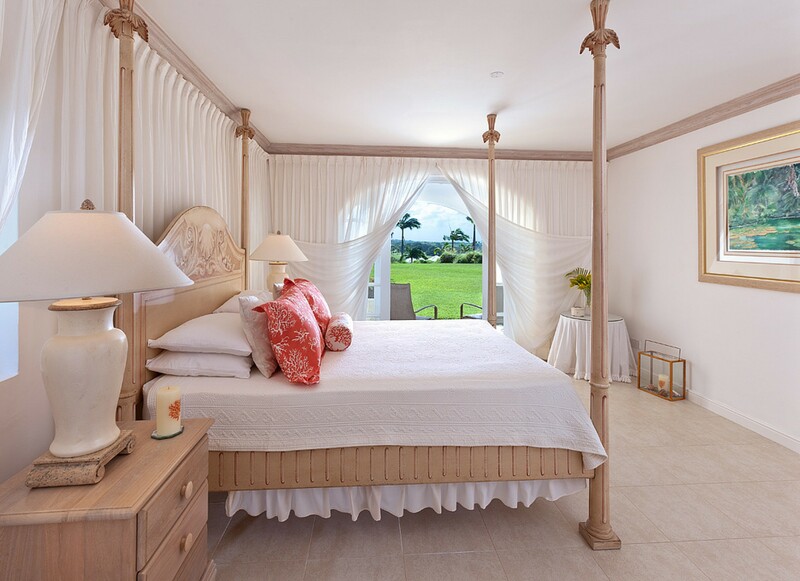 The master bedroom contains a lavish queen-size bed, the en-suite is equipped with a bathtub and shower. The second bedroom, containing two comfortable twins that can be combined into a queen-size. The third bedroom, located in a standalone cottage to the front of the property, is also furnished with two twin beds, and has an en-suite attached. 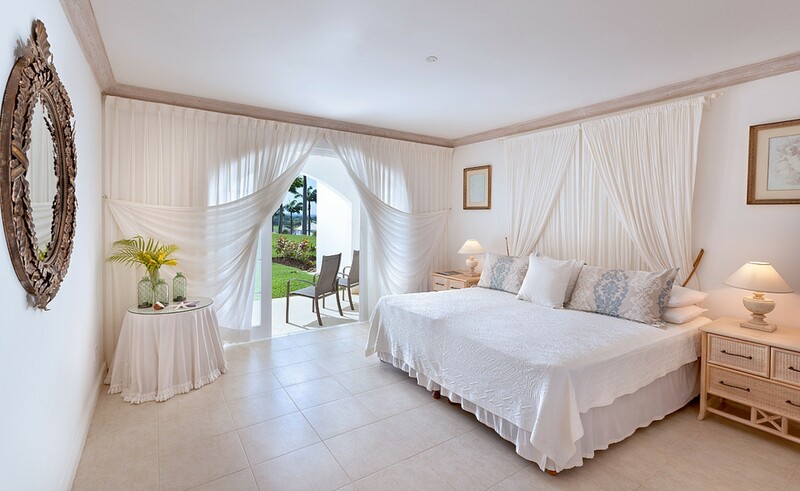 Two of the bedrooms, located on the ground level of the main building, have direct access to the shaded terrace and outdoor seating, perfect for an evening glass of your preferred decant before retiring to your chambers, or an early morning coffee, as the fresh Caribbean breeze awakens your senses. Forest Hill Community residents have privileged access to the large communal pool, tennis courts, fitness center equipment and the championship golf course that encompasses the estate. Membership of the Clubhouse and beach membership at the gorgeous Mullins Bay is included, and comes with a complimentary beach towel, reserved parking, parasols and sun loungers. 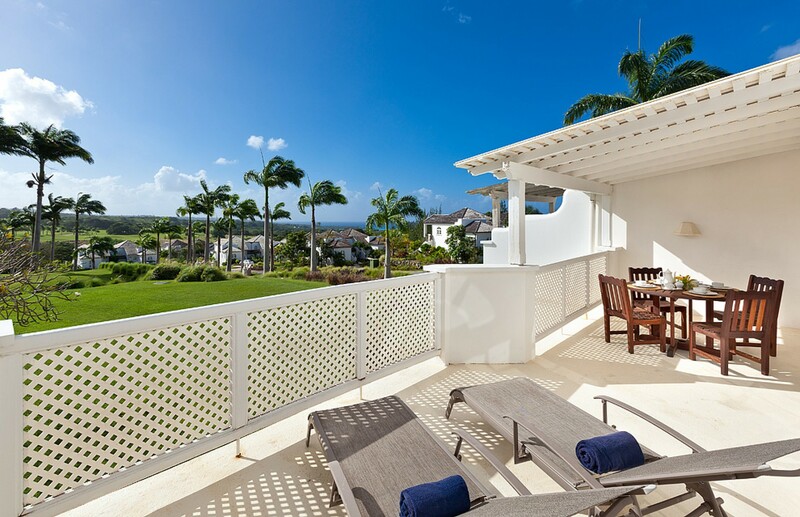 Located on the western side of the island in St. James’ Parish, Forest Hills 2 Villa is perfectly placed to offer both top notch security and privacy, while allowing easy access to Barbados’ sights and sounds. Holetown is the nearest town to the villa, and boasts a plethora of shops, restaurants, boutiques, spas and much more, a quick 5-minute drive away (3km). The Royal Westmoreland Pool and Clubhouse are mere minutes away on foot, and a shuttle bus service to Mullins Bay available (4.2km). There are plenty of golf courses also available. Thanks to the unique land formation of Barbados, there are many natural wonders on the island, like Harrison’s Cave, an underground limestone cavern, or Barbados Wildlife Reserve, which allows visitors to stroll through the natural habitat of indigenous creatures. If historic buildings are of interest, St. Nicholas Abbey is a 16th century marvel, and Bridgetown to the south is chock-full of influences from Barbados’ rich and colorful past.